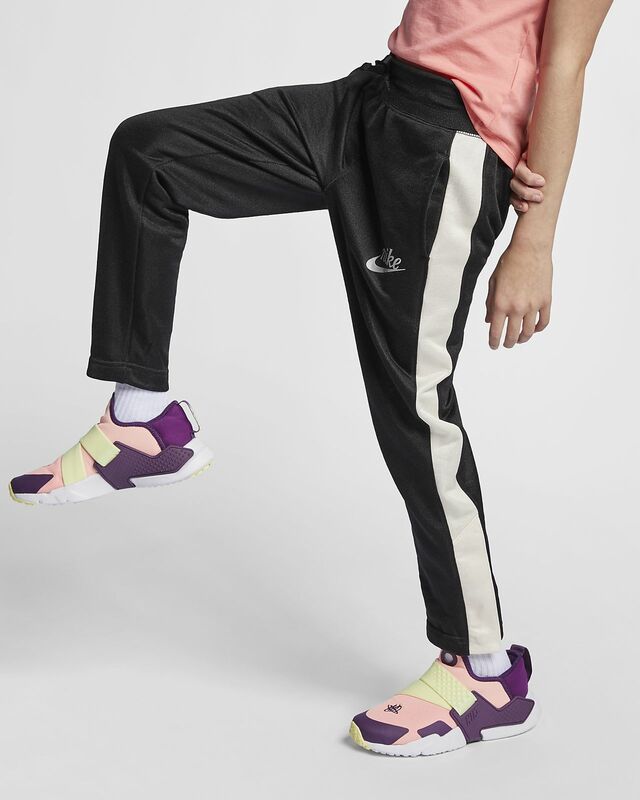 The Nike Sportswear Pants mean you won't sacrifice comfort for style. Soft fleece fabric and an elastic waistband have a relaxed, comfortable fit. The Nike Sportswear Pants mean you won&apos;t sacrifice comfort for style. Soft fleece fabric and an elastic waistband have a relaxed, comfortable fit. Fleece feels soft, warm and comfortable. Ribbed waistband and drawcord let you adjust your fit. Fabric: Body: 53% cotton/47% polyester. Rib: 96% polyester/4% spandex. Pocket bags: 50% cotton/50% rayon.